Understanding the basics of how to start a bar, grocery store, e-commerce site or any other kind of business is naturally the first thing you’ll want to know as a budding entrepreneur. But while the foundations of a company are important, what distinguishes successful enterprises from those that fail or barely get by are the more detailed business strategies each makes use of. One way you can increase the odds of your business being among the ones that do succeed is social media marketing. Once viewed as platforms for informal interaction with friends and family, social media networks are now a powerful tool of business. Here are the reasons social media marketing is so useful. Social media marketing is a skill that has a bit of a learning curve. The Facebook Ad Manager for instance can make you feel out of your depth if you have never used it before. But once you start to get the hang of things on this and other similar platforms, you can find and perfect a technique that will work for your business. In principle, social media marketing isn’t any different from traditional marketing. It’s only the medium that’s different. A key advantage of social media marketing is the ability to efficiently message a target group. You can define your ad’s audience by geographical area, age group, income band, hobbies, diet, mobility and more. That means you don’t need to waste money broadcasting your product to people who are not within your target group. From its humble origins, Facebook has grown to become a global phenomenon. The behemoth now has more than 2 billion monthly active users. It may be the biggest but there are other social networking and messaging platforms with at least a hundred million users such as Twitter, Instagram, Snapchat, WhatsApp, Messenger, and WeChat. The point here is that a large proportion of the world’s population is active users of at least one social networking app. So when you market your business on social media, you are simply taking your idea to where the masses are. But more importantly, the interactive nature of social media allows you to make deep engaging connections with customers and prospects that will stand the test of time and the occasional misstep in service or quality. Social media marketing is about more than just posting ads. It’s a great and affordable avenue for learning more about your audience. You can use the platform to better understand the needs and preferences of your customers. You can pick these insights during the conversations you have with them. However, nothing beats the data analytics tools social media platforms provide when it comes to acquiring deep knowledge about your audience. These tools help you see what types of ads your audience responds to. What ads do they click on and what proportion of the people who click on the ad are eventually converted into a sale? Over time, you’ll better understand the profile of your ideal customer and how to market to them effectively. This depth of insight isn’t usually available on traditional marketing platforms and even when it is, it’s far more expensive to obtain. One of the key challenges small businesses face is getting their name out there. In the wake of much larger competitors who dominate offline ad spaces, small companies can feel drowned out. Social media is a great leveler of the playing field and gives small firms the power to build a recognizable brand without breaking the bank. You can use social media to nurture brand loyalty by directly engaging with customers and prospects. Ward off your competition by keeping your audience enthusiastic about your product. Social media marketing isn’t a passing fad. 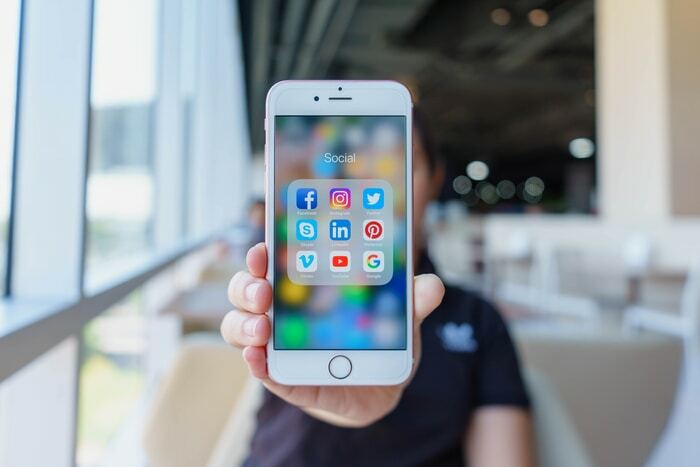 With social media apps dominating the list of most downloaded apps, the earlier your business can take advantage the better for you. There’s plenty to learn but starting out is what’s important. You’ll find out it isn’t as hard as it seems.